In today’s digital world, connected devices have permeated every aspect of our lives—from personal household devices (Echo, Nest, Ring, solar, etc. ), office products (security, HVAC, printers, etc. ), and critical life-saving equipment (MRI, x-ray machines, and other medical devices) to transportation (Tesla cars, rail, etc. ), massive infrastructure systems (power plants, oil rigs), heavy machinery (mining equipment), and more. And as these products and their users grow increasingly savvy, today’s service ecosystem must evolve to meet customer demands for flawless service. The ability of connected devices to gather and communicate data, especially when integrated with CRM, creates a great opportunity for organizations to increase customer satisfaction and brand loyalty by providing value-add preemptive service. Preemptive service is the ability to detect and diagnose potential issues and to fix those issues before critical failure occurs, resulting in lower service costs and increased customer satisfaction. And, whether your business is in the connected household, office, or infrastructure, a top-notch preemptive service strategy with CRM will do wonders for your brand loyalty and customer satisfaction. We got an Amazon Echo for the holidays, and aside from all the fun and jokes Alexa entertains us with, Alexa has really transformed how we interact with our home, and we look forward to more discoveries. In our house, Alexa is already connected with Sonos, Spotify, Nest, lighting, door locks, an alarm system, a smart fridge… everything. That’s all very convenient, but let’s look at an IoT example with a real impact. Solar panels are very popular in our neighborhood, and recently California passed a bill mandating all new constructions have solar panels. I love that, but how do you maintain efficiency? The panel array can provide efficiency readings and reports, but what if the solar array could monitor itself, collect data, and report problems directly to the solar service provider? That company could then use that performance data to alert service professionals of things like hot spots (overloaded panels) and other issues. This alert would then enable a technician to proactively schedule an appointment and show up with the right parts to effectively and expediently fix the issue so that the panels can continue to run optimally. In this case, the connected solar panels solve a problem that is difficult for us humans to detect and, in doing so, it helps maintain performance and longevity of the panels, which is important to the everyday people relying on the panels. Given these benefits, this type of preemptive service can go on to significantly boost customer loyalty for the solar provider. In office life, nothing affects productivity and creates frustration like a slow or downed network. Fortunately, today’s networks are very robust. A close second to downed network troubles might be when the office printer fails to respond to urgent requests. How many times have we showed up at the printer and no paper is to be found, the ink cartridge needs to be replaced, or there’s a nasty paper jam that no button seems to clear up? The reality of these issues is that they all impact employee productivity. Modern printers monitor and send performance data to IT or facilities so that the printer is never without ink or paper. Additionally, these machines can also communicate larger problems and send trend data to the manufacturer so that field service workers always show up not only when they’re needed, but also with the right part so they can fix the problem the first time. All of this helps to make sure the customer doesn’t have to call in and schedule an appointment, with a broken printer plaguing office morale for several days. Power plant, oil rigs, mining, transportation, assembly lines, and more are all critical operations for our day-to-day living. But, unless you work at one, it’s easy to take these pillars of our infrastructure for granted. Even if most people aren’t constantly thinking about them, these are the sort of operations that run 24/7 to keep the economy running on every front. And, if these processes break down or service fails them, it can have a significant financial impact for everyone. Take a car assembly line, for example. Even the assembly line is made up of machines produced by various manufacturers. If one thing breaks down, it can stall production for hours, if not days. Stalled production means less capital, more unhappy customers, and less time to innovate the next big thing. However, if the car assembly line is digitized with CRM, problems like these can be addressed faster and more efficiently. Connected machines can provide real-time updates on usage and when things do go wrong they can report on the specific part, specific tool, and the last operator to use the machine, creating a clearer picture of the root cause. This can provide manufacturers with the information needed to prevent failures as well as improve first-time fix rate. For manufacturers, service is becoming a revenue leader and differentiator. CRM is helping companies take advantage of a services business model. The examples above illustrate that when machines are connected with CRM they become infinitely more powerful, as core service CRM modules like Salesforce Service Cloud asset management, cases, mobile, self-service portals, omnichannel, and reports can manage the entire service interaction lifecycle simply by monitoring, capturing, and analyzing data reported. This optimizes the service experience for both agents and customers alike. Yaron leads the Solution Services practice at Simplus. 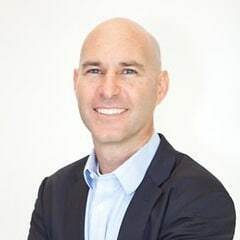 As Service and Community Cloud Practice Leader, Yaron’s expertise helps our clients successfully realize their Services vision, goals, and objectives. Yaron maintains Support and Services industry recognition as a two-time recipient of the Association of Support Professionals “Ten Best Web Support Sites” and an InformationWeek500 “Top Technology Innovator” finalist. Contact Simplus to learn more about how you can take your customer service operations to the next level.